128 Real English for life beyond the classroom Reading in English at advanced levels involves more than just words and grammar - it requires an interpretation of tone, context, aims and more. But sometimes the English you can learn from your coursebook just isn't enough for real life. 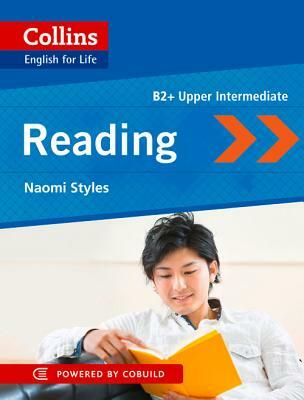 Using real life examples and language English for Life: Reading (B2+) will help you to appreciate the finer details of a reading piece and so to get much more out of reading in English. > Study the language people really use when they are writing - and why > Compare and contrast writing styles in lots of different environments > Useful 'language notes' to increase your understanding of tone, slang and social context Includes practice of reading in the following contexts: * Correspondence * Products and services * Out and about * Facts * Reading for pleasure About the series: What is it? Collins' innovative English for Life series adds the extra bit of authenticity to your studies that traditional coursebooks often lack.